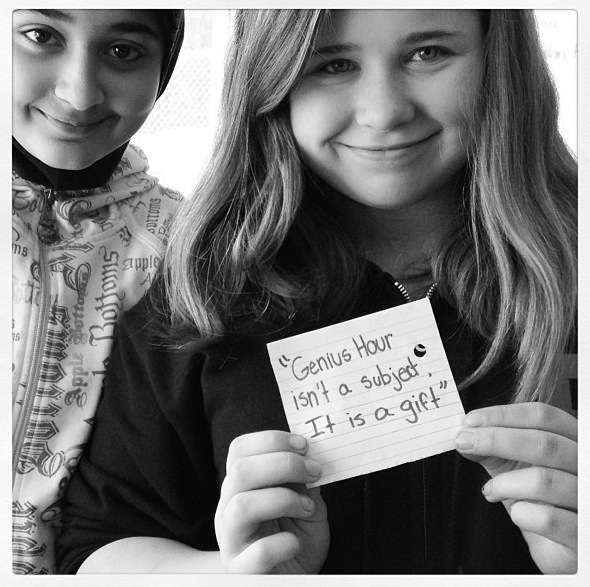 Genius Hour is a precious time. It is when students are allowed to develop their own inquiry question about whatever it is that they want to explore, learn, or create. I want students to be engaged in their learning. This does not mean that we'll be playing games, laughing and joking the entire class period. 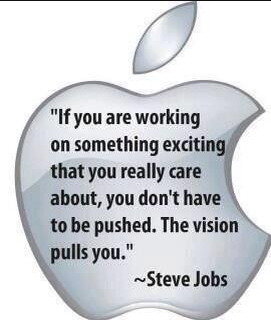 This means that I want students to be invested in what they're learning. I want them to "own" the learning. Students are expected to learn curriculum we have to teach them. When do they get to ask their own questions? When is learning driven by them? Isn't that when we learn the most? Would you rather learn what I have to teach you or what you'd really like to know? This is where Genius Hour comes in. Genius Hour takes place in our classroom at the end of each quarter. We start slow first quarter... encouraging students to share their passions, ask questions about what they wonder, and work together in a creativity challenge. We then take an independent reading approach. Students can read whatever they like - as long as they are reading each night for homework. While reading, they will be keeping track (in a journal, on a blog, on bookmarks... their choice) of what they wonder, what they really enjoyed, what they'd like to know more about... from what they read. Lessons on habitudes (imagination, curiosity, self-awareness, passion, perseverance, courage and adaptability) will be interspersed throughout this time and during "regular" LA class. Fourth quarter is when students will decide, based on what they've read this school year, what they'd like to pursue. Hopefully we can connect students to mentor adults or other students to help them on this journey. The quarter will end with a presentation from each student, either as a large group or in a gallery-style format. If you're still not sold on the idea, please read the articles or view the presentations on the "WHY" Genius Hour tab on the LiveBinder. I am so very passionate about the idea that I had to create this LiveBinder so parents can see all the stellar reasons we are trying GeniusHour in the classroom. These articles and ideas have been curated from teachers from around the globe. Another spot you can browse to see how my ideas have evolved is my personal blog. 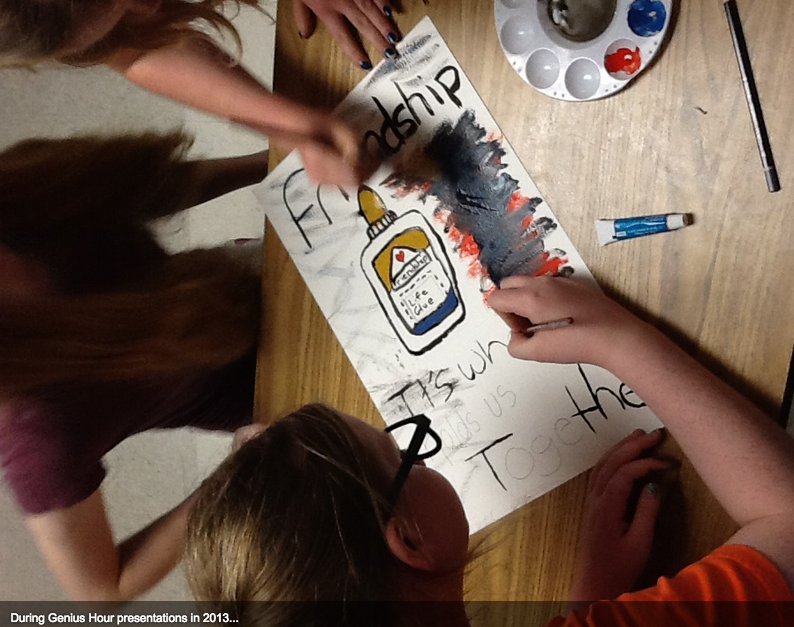 At http://geniushour.blogspot.com/ I ask questions, explain what I've observed, and reflect on my teaching. If you still have questions or would like to share a story, please email me. Thank you! Would you be wiling to be a mentor for our children? There was once a form here that you could fill in, and I would get the email right away. However, the Nike company took this chance to spam me with about 8 emails a day. So.... Please feel free to email me or use the contact information on the front page of our Weebly. We could use high schoolers or adults versed in coding, robotics, music, art, motivation, sports, etc. The list is constantly changing, depending on the seventh graders! Thank you for considering this opportunity to volunteer and guide children. Your help is much appreciated! 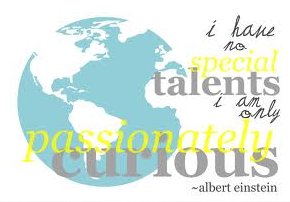 See the Global Genius Hour Wiki here! Students from around the world are adding their ideas. Click on a class in the left-hand column and see what those students have done. Enjoy the reading, and get inspired! We read, read, then read some more. For the first three quarters of the school year, Genius Hour is a time to read, reflect on our reading, and keep track (somehow - journal, blog, on a bulletin board, etc.) of what we wonder, what we'd like to learn more about, and what really bothers us. We will be keeping our eyes open as we read for inspiration. Fourth quarter, we'll take something that inspired us from any of our books and run with it - developing an essential question and following through answering it. This will culminate in a presentation at the end of the year, showing what we've learned. When you are finished viewing this presentation (or even DURING the video), please fill out this short survey.